Important information about delivery of this product. This product is a heavy, large sized special delivery item which ships directly from the manufacturer and will be delivered by a freight company (tractor trailer). The shipping service that is included in the price of the item is standard curbside delivery. It is extremely important that you read through this information so you have a clear understanding of the freight delivery procedure and your responsibilities in this process. We are providing this information to assure that your delivery goes smoothly and you won’t end up with any surprise charges. Please print out this information and have it available at time of delivery. Due to weight and large size, this product can only be shipped within the continental USA. Most shipments arrive within 2-7 business days after being shipped depending on your proximity to the manufacturer. (During the Christmas season, lead times can be 1-2 weeks so plan accordingly). The delivery company will call you in advance to schedule a delivery date and time. (Please let us know if your delivery is going to a business address). Someone must be present to accept delivery. Freight deliveries are typically made between 8:00 am and 5:00 pm, Monday through Friday. The delivery company will try to give you a 4 hour time window, but this may not always be possible. Please plan ahead for delivery as the freight company is typically not responsible for unloading the item from the truck, carrying it into your home, or assembling the item. Make sure you do not forget the delivery time once it is scheduled. If the truck shows up and nobody is home, you will be charged a re-delivery fee, usually in the $50-100 price range. If you need to reschedule, you must contact the freight company at least 24 hours before scheduled drop-off time. (Please do not just leave a message, you need to talk to a customer service representative personally so it can be documented on the bill of lading). The customer assumes responsibility for any charges levied by the freight provider associated with any redelivery attempts and/or storage. Standard curbside delivery is just that, the delivery person will need your help getting the item out of the truck and will leave it at your curbside. You are responsible for taking the item into your home. For liability reasons the freight company drivers are not responsible for unloading or carrying the freight. Make sure to check the size and weight of your item so you can be prepared to unload it when it arrives. Occasionally you may get a really nice helpful driver who is willing to help unload, but you better plan as if he/she will not help out. Thus, there must be at least two strong adults present to unload the freight from the truck. (If truck arrives and there are no such people present to help unload freight, driver will not leave freight and you will be charged a re-delivery fee and will have to reschedule the delivery). Trucks are usually 4 feet high and the freight must be brought down from that height. Some freight may be on a wooden skid which may add weight to the product. If two people are unable to be present, please contact the freight company in advance to inquire about any special services upgrades that they may offer. You can arrange for lift-gate service where the driver will unload the freight from the vehicle for you and drop it curbside. Most companies charge between $75-100 extra for liftgate service. Additional upgraded services such as two-man delivery, in-home delivery, etc are available for an additional charge and will be your responsibility to pay. You must schedule these upgrades well in advance of delivery. Ideally, you will want to inquire about the upgraded delivery service before ordering the product. We will then request a quote from the freight company and bill you in advance for the charges. You can not wait until the day the truck arrives to upgrade service. If you do that, the driver will have to deliver another day and you will be billed a re-delivery fee in addition to the upgraded service. (Driver will not perform any upgraded service unless it is indicated on the bill of lading). Most standard trucks do not have liftgates, therefore they need to be scheduled in advance. Inspecting Product at Time of Delivery – Most Important Part to Read!!! At time of delivery, please carefully inspect your shipment while the truck is still there. Take your time and thoroughly go around the product looking for any signs of damage. If a box is torn, dented, ripped, punctured or damaged in anyway, you must clearly and precisely note the damage on the delivery paperwork. If you have a camera take a picture of it, preferably with the truck also in the photo. We can’t stress enough the importance of thoroughly inspecting the freight and documenting any damage on the paperwork. This will aid in filing a claim against the delivery company, if necessary. The freight company will absolve itself of any responsibility for damaged freight if it is not clearly noted by customer on the paperwork at time of delivery. If you sign without noting the damage, you have just signed away your chance of filing a claim. You can’t call a week later and then claim the box was damaged. If you see any damage to the box, open the box and inspect the inside contents while the driver is still there. Make the driver wait until you are completely finished with inspection and don’t let the driver rush you. If you notice damage to the outside box and are unable to fully inspect the inside contents, write that “outside box is visibly damaged, may have concealed damage, subject to further inspection” on the delivery paperwork. This will aid you in the event it is necessary to file a concealed damage claim. If your inspection uncovers that an item is visibly damaged but you believe the damage to be minor and can be fixed with a replacement part, accept delivery of the item. However, if you discover that an item has sustained major damage and is visibly damaged beyond repair, please refuse delivery, do not sign the paperwork and contact us immediately. If the truck driver will not wait for you to inspect the shipment you must note on the freight bill, “Driver would not wait for inspection.” Please call and report all delivery problems immediately. You must call THAT day, preferably within minutes after the truck leaves. You may also email us to let us know about the problem. Again, you must document all damage on the paperwork and contact us immediately. Claims for damage must be made within 72 hours of delivery. The standard In-Home delivery service consists of placing the item through the first threshold of your home (ex. front door) assuming no access issues. Typical charges for liftgate service and delivery into your home run $150-$250. Please plan ahead for delivery as the delivery company provides for placement of the item inside your home and not for assembly of the item. Additional charges may apply for special delivery options such as difficult to access thresholds, up/ down sets of stairs, etc. The area needs to be accessible by a tractor trailer truck that is 45 feet long and 14 feet high. In rare some cases, delivery may not even be possible. If you suspect that you have a location which has difficult access, please consult with the delivery company before purchasing the product. No sense in ordering something that is impossible to deliver. Return shipping charges are the responsibility of the customer for products that are returned for any reason other than damage. A 20% restocking charge will apply for all non-defective items returned. In addition, original shipping fees are non-refundable. No exceptions. In the event you need to return your product, please follow these steps: ?? ?Contact us via email for a “Return Merchandise Authorization” number. We will then provide the manufacturers shipping address to return the product. No products will be accepted for return without an RMA#. Do not send any products back to Tablehockeyshop.com. Your product must be returned to the manufacturer. ?? ?You must package the product in the original shipping materials, both inner and outer packaging. It is your responsibility to arrange and pay for the return freight shipping back to the manufacturer. We can guide you on how best to proceed with this. Once the returned product is received in good standing and inspected by the manufacturer, you will be refunded the cost of the product, minus the original shipping fees. Original shipping charges to customers are non-refundable for undamaged items. 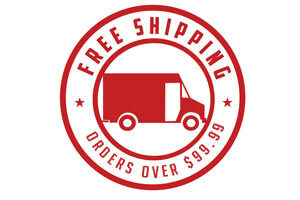 This applies to all items, including ones where Free Shipping is offered. If any products are shipped back to the manufacturer for any reason without prior authorization, the customer will be responsible for the full shipping charges and product restocking fees will apply. You must contact us in advance to return an item. No exceptions. Customers who place orders and then refuse delivery for reasons other than damage, or whose orders are undeliverable, or whose orders are cancelled after being shipped will be fully responsible for all shipping charges billed by freight company. This include all charges incurred shipping the item to the customer and all charges incurred shipping the item back to the manufacturer. When product comes back, all those freight charges will be deducted from the original amount that was billed to the customer.